Post news Report RSS	Once Upon An Apocalypse on Desura for Free!!! 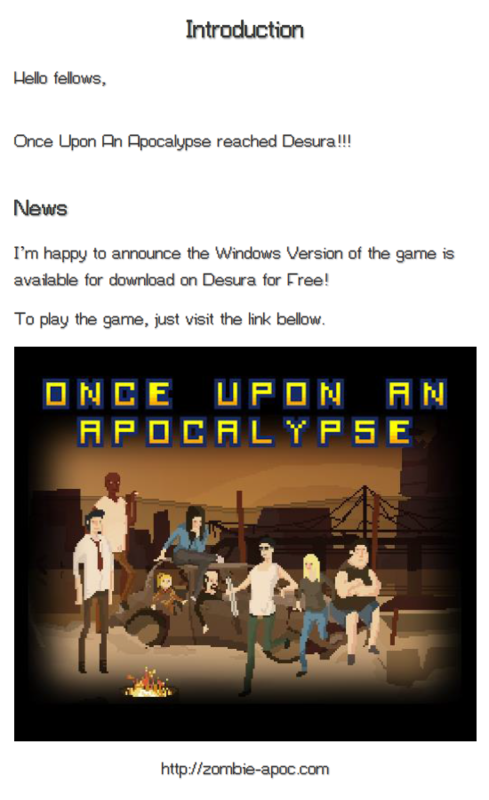 Once Upon An Apocalypse reached Desura! Help spread the word!! !